ALEXANDRIA, Va. – Cancer experts from around the world will gather to share the latest clinical cancer research impacting patient care at the 55th Annual Meeting of the American Society of Clinical Oncology (ASCO). Advances in targeted therapies for pancreatic, prostate, and pediatric cancers, as well as new approaches to overcoming limited access to cancer care are among the topics that will be highlighted in the meeting’s official Press Program. Today at the National Press Club, the American Society of Clinical Oncology (ASCO) announced a new task force aimed at reducing disparities and improving outcomes for patients and survivors of cancer who live in rural communities. The new “Rural Cancer Care Task Force” will identify opportunities to close the rural cancer care gap and implement strategies to improve rural cancer care in the United States. The American Society of Clinical Oncology (ASCO), the American Society of Hematology (ASH), and the National Comprehensive Cancer Network® (NCCN) are pleased to acknowledge receipt of a key clarification from the Centers for Disease Control and Prevention (CDC) on prescribing opioids to manage pain from certain conditions. The clarification regarding CDC’s Guideline for Prescribing Opioids for Chronic Pain—issued in a letter from the agency to ASCO, ASH, and NCCN—comes as a result of a collaborative effort by these organizations to clarify CDC’s opioid prescribing guideline in order to ensure safe and appropriate access for cancer patients, cancer survivors, and individuals with sickle cell disease. The results of a recently released survey conducted for the American Cancer Society Cancer Action Network (ACS CAN) raise serious concerns about the negative impact that utilization management practices, including prior authorization requirements, are having on patients with cancer and their physicians. 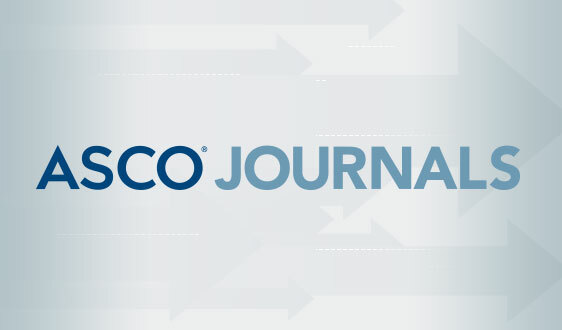 The survey results reinforce ASCO’s position that payer-imposed utilization management strategies must provide people with cancer full access to the right treatment, at the right time, based on the scientific evidence on what constitutes high-quality care. ALEXANDRIA, Va.— The number of electronic health record (EHR) systems joining with CancerLinQ to facilitate information sharing continues to grow. 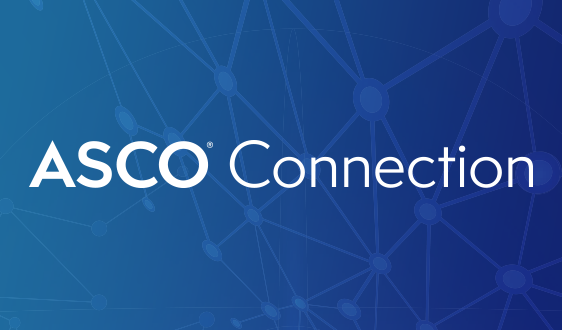 CancerLinQ LLC, a wholly owned nonprofit subsidiary of the American Society of Clinical Oncology (ASCO), announced today that Varian’s ARIA® Oncology Information System (OIS) is the next Electronic Health Record (EHR) System to be certified by CancerLinQ® after meeting criteria for interoperability and data standardization. This collaboration aims to dismantle barriers to information sharing and streamline access to CancerLinQ for oncology practices using Varian ARIA® OIS. ALEXANDRIA, Va.—​Three completed cohorts reporting findings in non-small cell lung cancer, breast, and metastatic colorectal cancer from the American Society of Clinical Oncology, Inc.’s (ASCO®) Targeted Agent and Profiling Utilization Registry (TAPUR™) Study were presented in poster sessions during the American Association for Cancer Research (AACR) Annual Meeting 2019. 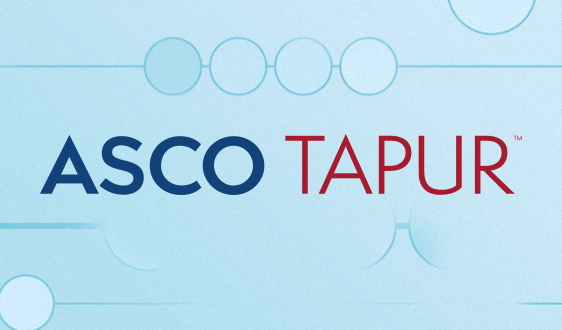 In addition, all seven pharmaceutical companies currently participating in the TAPUR Study have recently renewed their commitment to support it and provide study drugs at no cost for an additional one to three years. 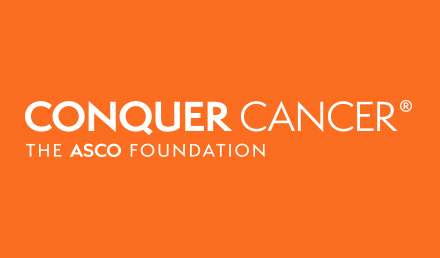 The American Society of Clinical Oncology (ASCO) and ASCO's Conquer Cancer Foundation proudly recognize the winners of ASCO's Special Awards, the Society's highest honors, and Conquer Cancer's Women Who Conquer Cancer Mentorship Awards. The recipients of these awards have worked to transform cancer care around the world. 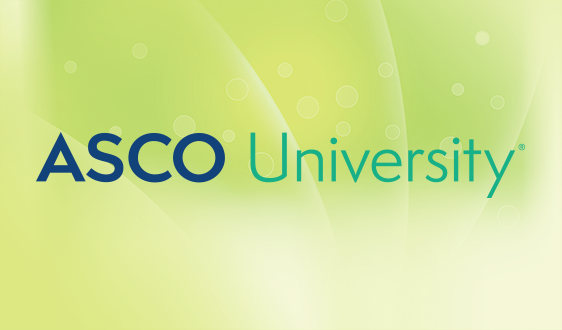 ASCO will recognize this year’s awardees at its 2019 Annual Meeting. 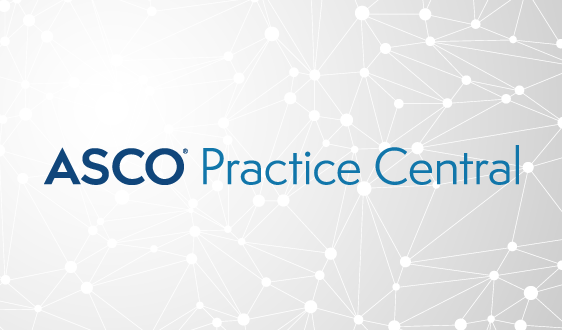 SAN FRANCISCO – Nine studies exploring a variety of trends and approaches in immuno-oncology, including adaptive cell therapies, immune checkpoint inhibitors, the use of predictive biomarkers, and more, will be presented at the 2019 ASCO-SITC Clinical Immuno-Oncology Symposium. The meeting will take place February 28 – March 2 at the San Francisco Marriott Marquis in San Francisco, California. 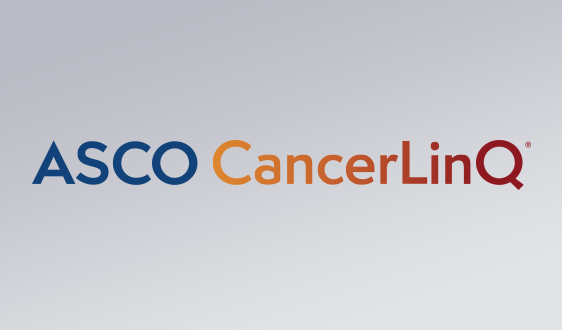 ALEXANDRIA, Va.—The American Society of Clinical Oncology (ASCO) announced today that it is seeking applications for research grants for projects that use data from CancerLinQ Discovery®, an offering of ASCO's CancerLinQ® initiative, as a source. 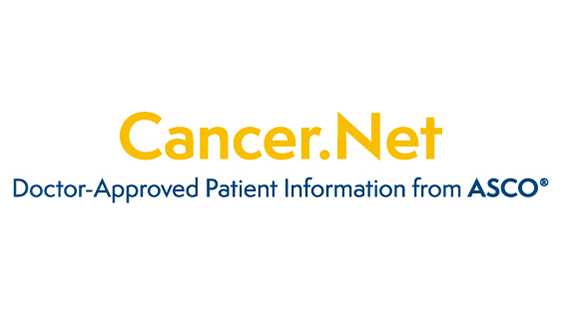 CancerLinQ Discovery® provides curated sets of de-identified data from cancer patients to academic researchers, government agencies, and others in the oncology community to generate practical knowledge that will improve cancer care. ALEXANDRIA, Va. – A single-arm, phase II trial in men with PSMA-positive metastatic, castration-resistant prostate cancer (mCRPC) that progressed despite standard therapies, found that in the majority of men, the cancers were responsive to treatment with a novel, targeted radiation therapy called Lutetium-177 PSMA-617 (LuPSMA). This is the first prospective study of LuPSMA, part of a potential new class of treatments for men with metastatic prostate cancer. According to the researchers, men receiving the medication lived a median of 13.3 months after treatment, longer than the average 9-month survival time for men with this stage of disease. These findings will be presented at the upcoming 2019 Genitourinary Cancers Symposium in San Francisco, California. ALEXANDRIA, Va. – A large, retrospective study analyzing five years of data from the Veterans Health Administration (VHA) found that African-American men with metastatic castration-resistant prostate cancer (mCRPC) who were treated with newer prostate cancer drugs abiraterone acetate (Zytiga) or enzalutamide (Xtandi) – and who had not received prior chemotherapy – lived 20% longer compared with white men who received the same treatment. These findings will be presented at the upcoming 2019 Genitourinary Cancers Symposium in San Francisco, California. ALEXANDRIA, Va. – Results from the randomized, phase III KEYNOTE-426 clinical trial show that first-line therapy with a combination of the PD-1 targeted immunotherapy pembrolizumab (Keytruda) and the VEGF-targeted tyrosine kinase inhibitor axitinib (Inlyta) extended both overall survival and progression-free survival for patients with clear-cell metastatic renal cell carcinoma (mRCC), compared with the current standard of care, sunitinib (Sutent). Findings from this international study will be presented at the upcoming 2019 Genitourinary Cancers Symposium in San Francisco, California. "Rates of obesity-related cancers are rising most sharply among young adults, but this study should serve as a wake-up call to all Americans – young and old alike – that obesity is linked to an increased risk of common cancers. If current trends continue, it is estimated that obesity will lead to more than 500,000 additional cases of cancer each year in the United States by 2030." ALEXANDRIA, Va. — Over the past year, major research advances provided new treatment options for patients with rare, difficult-to-treat cancers. In recognition of these achievements, the American Society of Clinical Oncology (ASCO) names “Progress in Treating Rare Cancers” as the Advance of the Year. 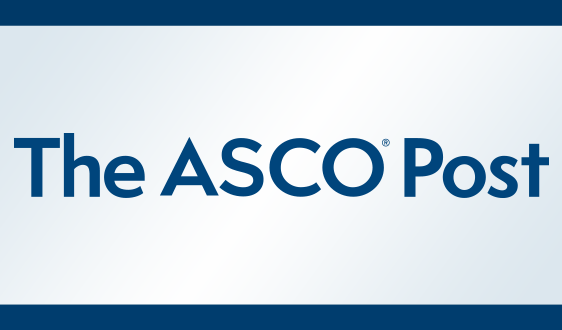 To continue the forward momentum, ASCO also debuts its list of Research Priorities to accelerate progress against cancer. These and additional milestones in cancer research are featured in ASCO’s annual Clinical Cancer Advances report, released today.